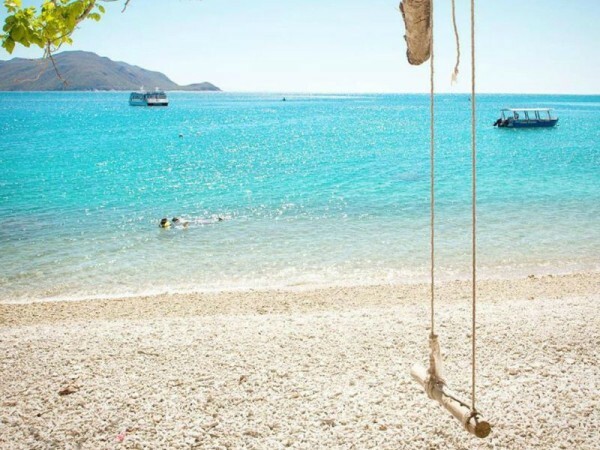 Cairns is a holiday destination hot spot, where the sun is always shining, the reef is only a short boat ride away and the rainforest is all around you. I’ve been lucky enough to call Cairns home for eight years now and I will admit that my life feels like a constant vacation. Yes, Cairns is a tourist gold mine but it also has plenty of local hot spots that most people here on holiday look past. 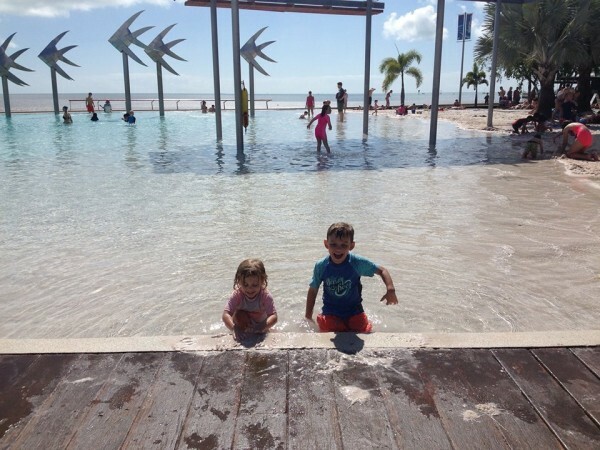 So, if you’re coming up to Cairns, these are the ten things I recommend to every family. You can’t go to Cairns and not walk the esplanade. There are heaps of free things to do along the 3km walk. Start at the pirate ship, a great playground for kids, and walk south along the water. You will hit the boulders (a free rock-climbing park), the skate and bike park and beach volleyball nets, Muddys (a free water park and playground for the kiddies) and then the lagoon – a 4800 metre squared salt water swimming pool that is free to the public and surrounded by beautiful white sand. This topped the list as the must-do-in-FNQ and before we went there I couldn’t really see why, especially when you compare it to the reef. It’s a ruined castle in the middle of nowhere (Mena Creek to be exact), about an hour away from Cairns. But the atmosphere is truly spectacular with a sense of magic. It feels like you are being transported back in time. 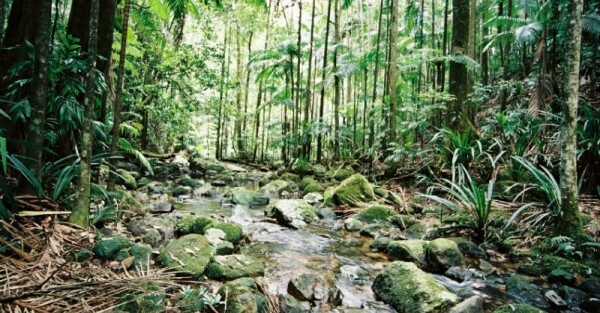 There are fish to feed, turtles to spot, forests to explores and beautiful grounds to picnic on. 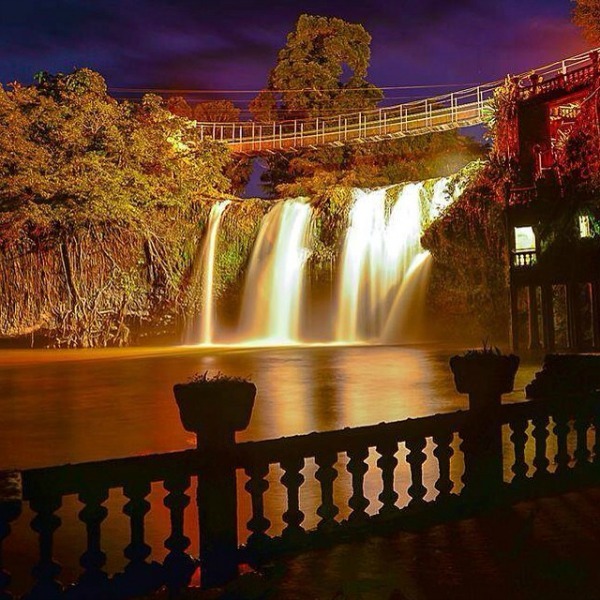 Paronella Park is not to be missed. 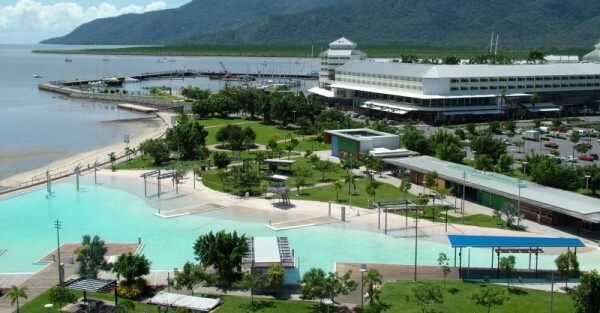 Cairns is famous for Sunday Sessions, where the music is pumping and the drinks are cheap. Many bars along the waterfront and esplanade offer Sunday Sessions, but one of the best things about Cairns is some are very kid-friendly. Kewarra Beach Shack and Ellis Beach Bar and Grill are the two I would recommend, both located beach front . The drinks are cold, the food is fresh ($1 oysters at Ellis Beach Bar and Grill) and the music is great. Plus, kids are more than just welcome – the live bands often play music the whole family will enjoy and my kids are always the first ones on the dance floor. The Fig Tree Playground is a timber playground swirling in and out of a massive fig tree on the esplanade. The playground overlooks the water and there is an incredible cafe and plenty of places to barbecue or set up a picnic. It gets popular on the weekends but there is plenty of space for the kids to run around, explore the various hiding spots and let their imaginations run wild. 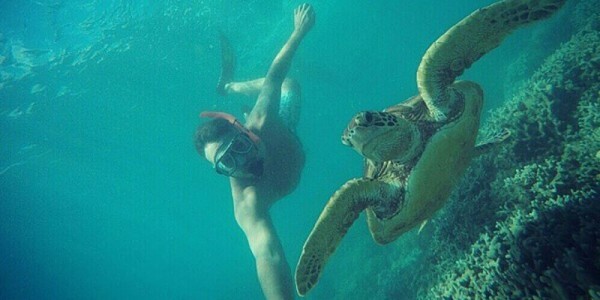 Yes, the oceans up here do have crocodiles, stingrays and jelly fish. Yes, I’ve seen all of them. And yes, it can be scary. But the creeks are safe(r). 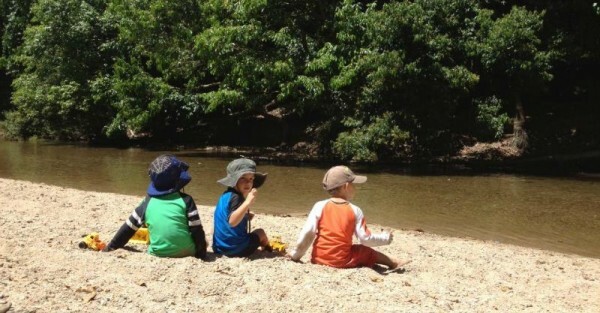 My favourite is Behana Creek past Gordonvale but Goomboora Park is another great place to go for a dip. The best thing about Goomboora, located 15 minutes from the city centre in Brinsmead, is that there is also an amazing bike track, obstacle course for kids and plenty of dog-friendly walks among the forest. We often take our dog here and look for “fairies” with the kids. They love it, even though we have yet to see a fairy. If you do want to go down the tourist road, there are heaps of things to do, from the Skyrail to the Tropical Zoo. And many of the tourist attractions offer you the chance to see a crocodile. But Hartley’s Crocodile Adventures is the best. Why? Because the tour guides are fantastic and the crocs are impressive. It isn’t just a zoo (but it does have kangaroos, koalas and snakes) – it’s a farm so the crocodiles are closer to their natural environment. And they are massive! 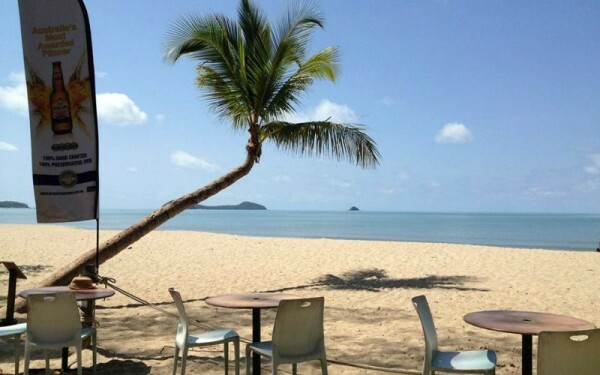 As soon as you round the bend after Palm Cove, prepare to be taken back by the beautiful view of sand, sea and road. This is one of the prettiest drives I have ever done and every time we do it, I count my lucky stars that this is home. Bonus points – the drive leads you to Hartleys. 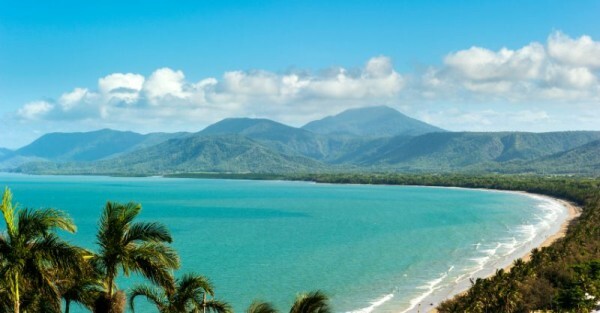 Stop in Port Douglas for lunch and a trip to the Sunday markets to make a day out of it. If you have older kids or kids that do not get seasick, then make sure you book a trip to the reef. The boats that cater the best to families are Reef Magic and Quicksilver and you can also hop on a helicopter through GBR Helicopters for an incredible way to see the reef like never before. Green Island is the tourist go-to island but Fitzroy Island is Green’s cooler older brother that is much more popular with the locals. It’s a 45 minute boat ride away (day trips available). On the island there is a restaurant/bar, resort, turtle rescue centre, camp ground and plenty of beach activities including kayaking, paddle boarding and a trampoline on the water. Plus, it’s on the reef so if you want to see some amazing fish, turtles, rays and coral, you don’t have to venture out on a boat all day. There is also a glass bottom boat tour that we did last time we were there. My kids absolutely loved it and you can see all the amazing reef fish without getting wet or having them touch you (I’m not a fan of fish touching me). There are endless walks to choose from. My favourites are the Red Arrow, Botanic Gardens and Centenary Lakes which are all kid-friendly. But for those who are looking for something a little more intense, you can’t go past the Behana Gorge, where the reward at the end is an incredible waterfall with plenty of places for a swim. This guide really only scratches the surface of the amazing things to do in Far North Queensland. Travel to the Tablelands for waterfalls, wineries, chocolate and coffee factories, head west to the Undara Lava Tubes for a true outback experience or take in the beautiful views and amazing food at Palm Cove. 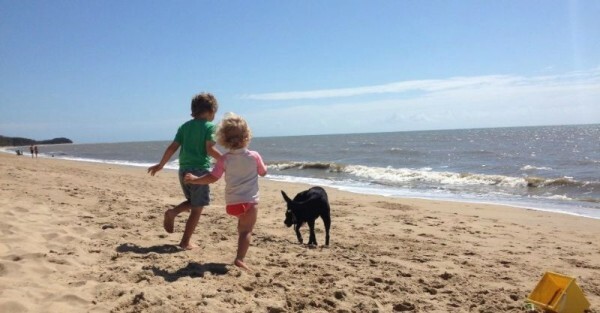 All you need to have a great time is your swimmers, a pair of thongs and a sense of adventure. Make sure you check out all of our top ten guides around Australia including Perth, Melbourne, Sydney, Gold Coast, Bendigo, Newcastle, Tasmania, Brisbane, Canberra and Adelaide.